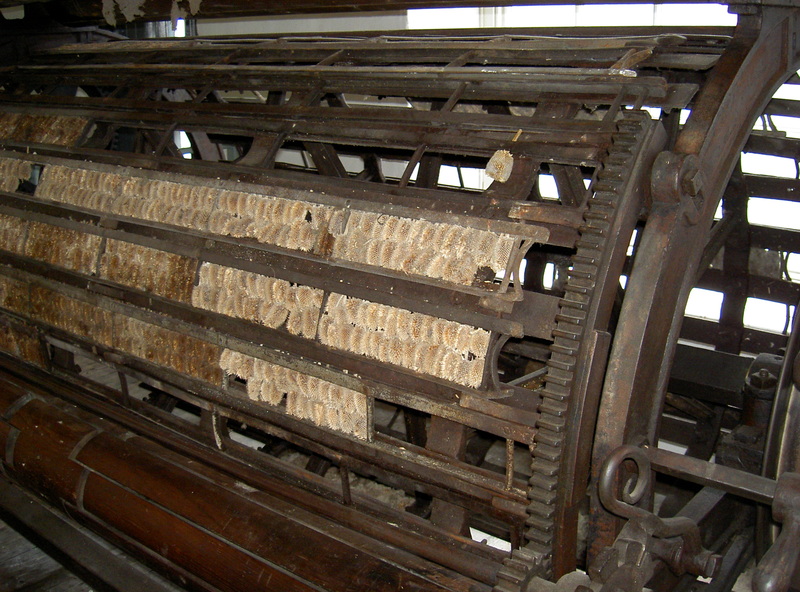 Two days ago we posted Wovember Words #17, which talked about the gig mill, which is used to raise the nap on woven cloth. The accompanying picture showed a Victorian billiard table, which is covered in napped green woollen cloth. 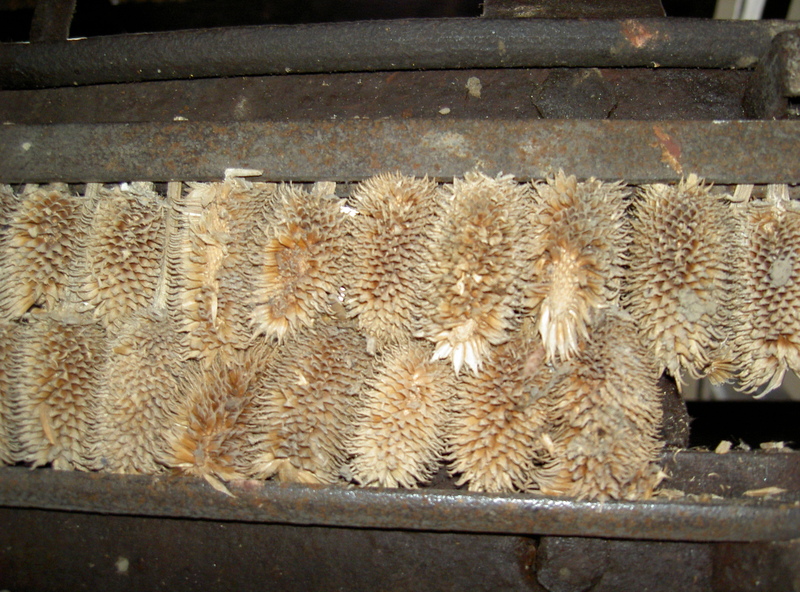 However, when Linda Scurr visited the National Wool Museum, she took some pictures of an actual gig mill, and a close-up of the teasel heads! It would be a shame to keep these pictures from you, so today we have a Wovember A-Picture-Says-More-Than-A-Thousand-Words post. As you can see, there are quite a few teasel heads missing. Images copyright Linda Scurr and used with her kind permission: thank you Linda, for an unexpected extra contribution!